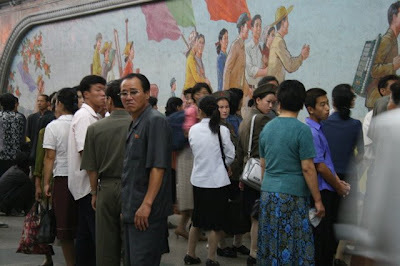 When we were in Pyongyang, any occasion that allowed us get up close to ordinary citizens was an event, something to be discussed and analyzed. Imagine the excitement among festival delegates when we were told we were going for a ride on the metro. Down, down we went. 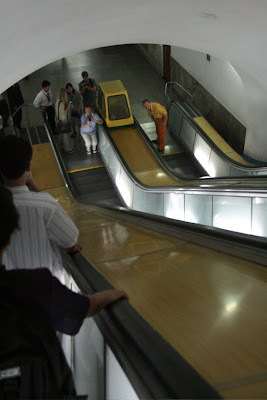 The escalators seemed to go on forever. The North Koreans must have thought us mad. Everyone was frantically taking photos. 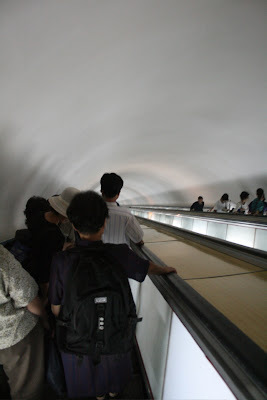 This reminded us a little of the underground in Moscow. 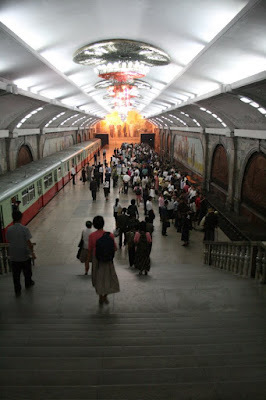 Apparently, only two stations in Pyongyang are lit. Power shortages have led to a few cutbacks in the city, and most of the time, commuters ride in darkness. The station was actually pretty impressive. 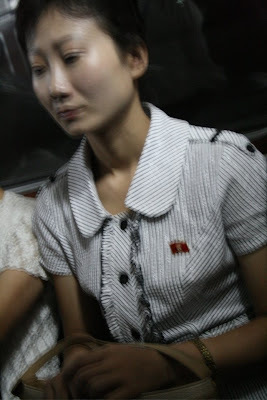 A passenger on the train. Our carriage was so full it was hard to get a good shot. Notice the little pin on her blouse. 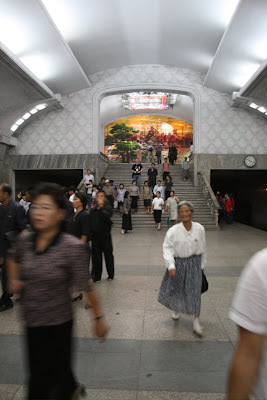 They come in three sizes – all feature a picture of Great Leader Kim Il-Sung. North Koreans, we’re told, never leave home without him. 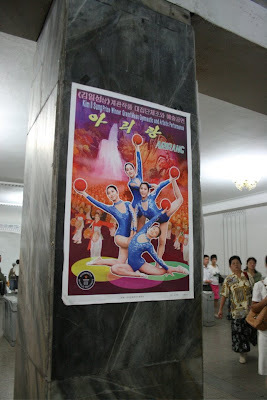 A poster advertising the Arirang Mass Games – a spectacle like no other. 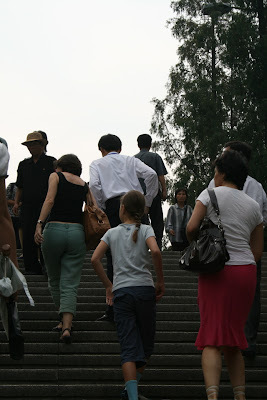 The ride was entirely too short, our guides hustled us off the train after just one stop. 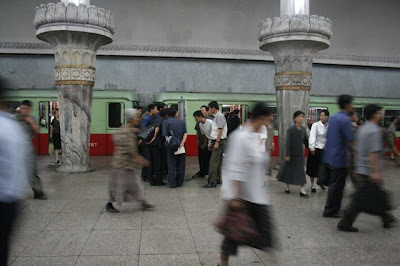 More info on the Pyongyang Metro can be found here. Previous postThe Flower Girl Next postHow Do You Do What You Do?